Chickens seem one of the most unlikely animals to ever star in stories, films or television, yet most of us have grown up with and know certain fabulous fowls as well as we know Sam I Am and the Cat in the Hat. 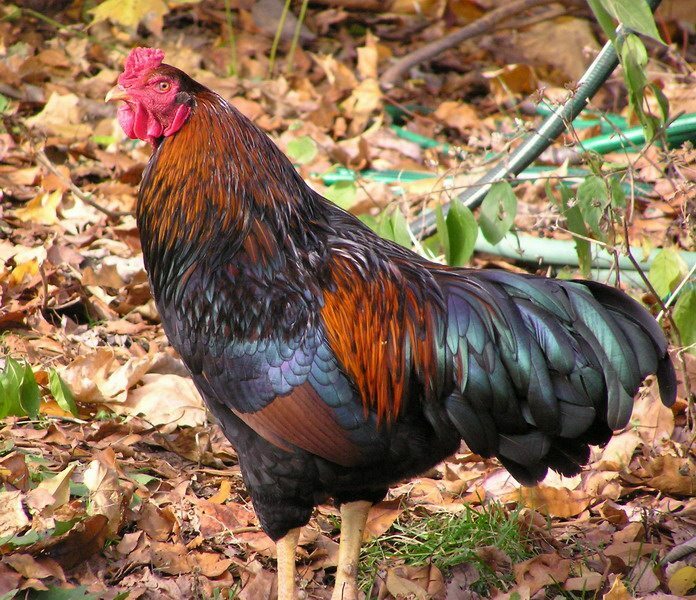 Below are five chickens, or chicken stories, that are famous around the world. In the end, she has grown grain, ground it and baked a lovely loaf of bread that she shares with her chicks but refuses to share with those that did not help her. It is a story that is meant to teach children about hard work and helping one another. Also known as Chicken Little, this little hen got smacked in the head with an acorn and in a clucking panic ran into town to tell the King that the sky was falling. On her way she met a veritable gathering of farmyard livestock, all of whom followed along in a dither to tell the king that the sky was falling. On their way they meet Foxy-loxy who invites them to follow him to a short cut. The short-cut turns out to be his den and he snaps up everyone but Henny Penny who escapes only because she heard what was happening… And she never does tell the King. The tale of Henny Penny (or Chicken Little) became the foundation for a Disney movie in the 2000’s. 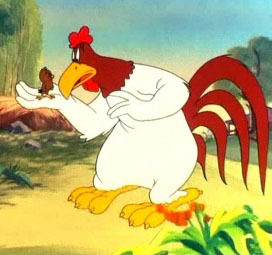 Likely one for the older generations, Foghorn Leghorn was a character on Warner Bros. Looney Tunes. Together with Daffy Duck, Bugs Bunny, Porky Pig and the others, he engaged in a variety of antics to liven up the barnyard. Most of these involved aggravating the barnyard dog or being chased by Henry Hawk while trying to woo Miss Prissy. He is an easily recognized large white rooster with a southern accent. His antics are well remembered, though the most common and best remembered is how he would often pick up a plank of wood while humming Camptown Ladies and proceed to beat the dog, who would then chase him around the yard. 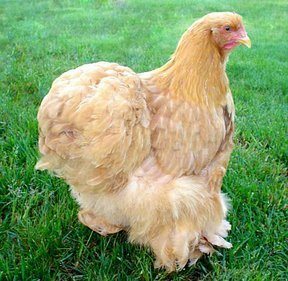 Leghorns are an actual breed of chicken which lends a fun element to the history of this great character. Based loosely on the story of Henny Penny (Chicken Little) this children’s film by Disney, produced in 2005, takes place after the initial panic in a time where young Ace Cluck is perceived as a lunatic child that drove the whole town into a panic after being hit on the head by a loose disc from an invisible space ship. He is just recovering from this stigma and renewing bonds with his father when, to his young chickly horror, it happens again. This time, however, in his attempts to simply get rid of the tile, he is the cause of his entire town being attacked by aliens searching for their son. It is an excellent film for young children with a young rooster as the star. Chicken Run is a film that debuted in 2000. It is the tale of laying hens trapped in a chicken farm and destined to become the filling in Mrs. Tweedy’s chicken pot pies. It covers some of the more enjoyable aspects of the chicken personality and gives those watching it some great laughs. Something of a mocking rendition of the Great Escape, these hens, with the help of a circus rooster that lands in their yard after being fired from a canon, completely trick Mr. and Mrs. Tweedy and manage to escape to a new land far from the dangers of being turned into pies.